...what does the Tooth Fairy do when she was not prepared and has no cash or trinkets on hand??? 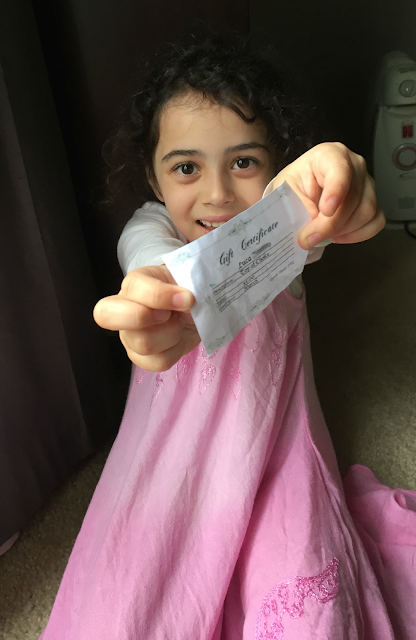 She leaves a gift certificate! 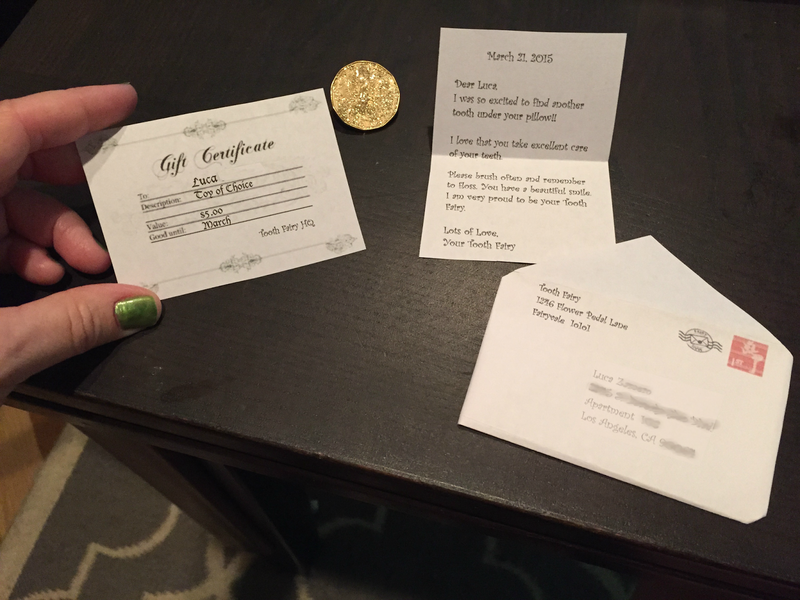 Check out the miniature letter, gift certificate, "gold" coin (covered in gold glitter) in the tiny envelope...hand delivered by the Tooth Fairy, of course! 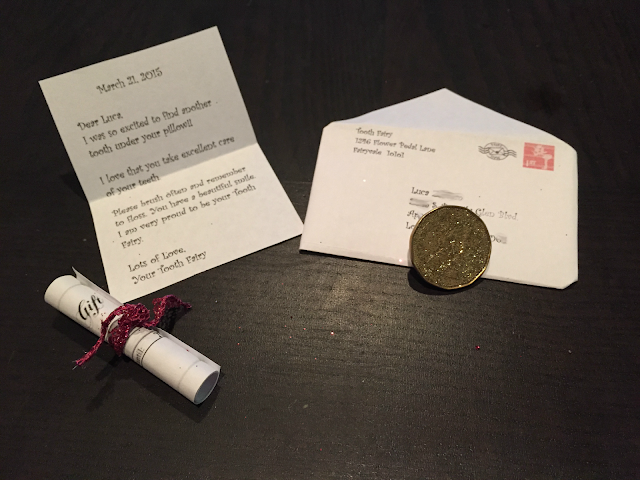 Wow, talk about resourcefulness for the Tooth Fairy right there! Haha! Glad that Luca understood why the Fairy didn't leave change; money's hard to come by these days and even fairies can't use their magic, it seems. Haha! Still, I believe a gift certificate is as valuable as a couple of bucks nowadays provided one knows how to properly use it. Cheers! Thanks for your enthusiastic comments!